Christmas is fast approaching, in fact, it is approaching a little bit too quickly in my opinion because I still have a couple of gifts to buy. 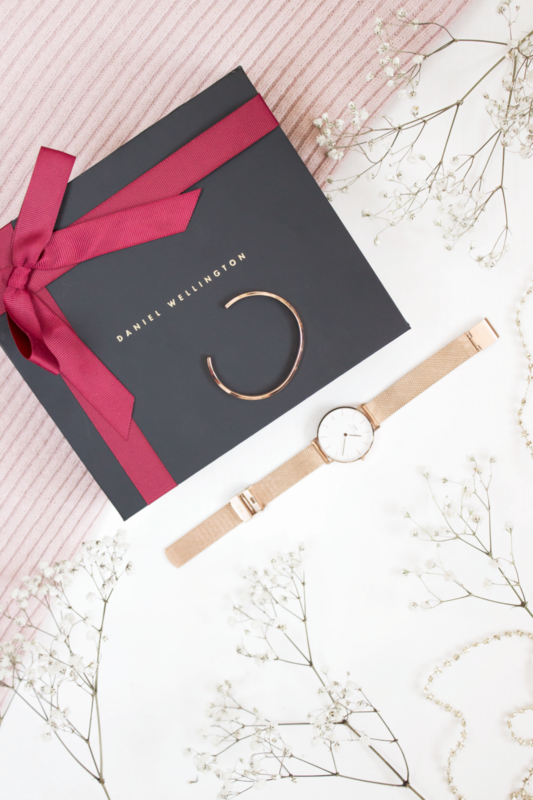 If you are in the same boat as me and fancy treating somebody to an extra special gift this year then it may be worth considering looking towards Daniel Wellington. 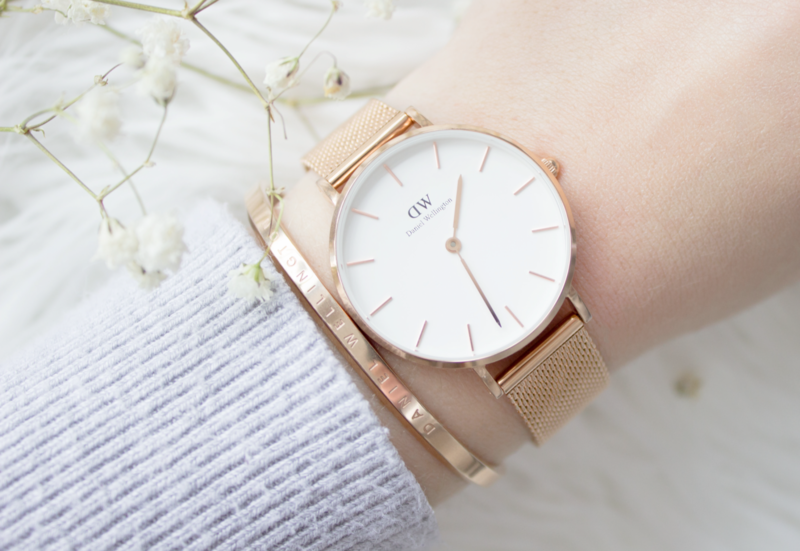 The Daniel Wellington Classic Petite and Classic Cuff* is one of the nicest items that I have ever had the pleasure to feature on this blog. In the past I have featured a couple of items from the brand, the quality has always left me really impressed and simplistic designs have always complemented my own personal style well; it goes without saying that I am quite the fan. 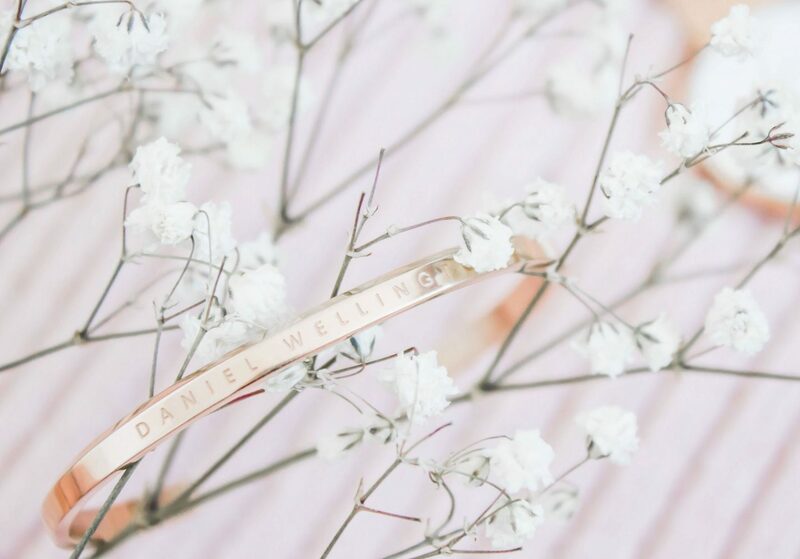 Earlier on this year I had my first experience with the Daniel Wellington Classic Petite* style, it was quite different to their timeless Sheffield design. The Classic Petite watch originally came in four different styles, there have been a further two additions to this since I last checked. On this occasion, I opted for the Classic Petite Melrose* in the Rose Gold finish, I thought it would make a change as most of the watches I own are quite dark in colour. The Classic Petite style is very slim and light weight, it’s perfect if you have tiny wrists like me! I absolutely love that Daniel Wellington now offer a matching cuff to go with your choice of watch; it finishes off the styling perfectly. They are available in a rose gold and silver finish and come in two sizes, small and medium. Both the cuff and watch together look beautiful, I find that I cannot stop looking at them together. As you can see, the cuff is engraved with the brand name which I like a lot. It isn’t really bold and in your face, I think that it is nice and subtle and I think overall it looks very minimalistic, keeping of course with the Daniel Wellington branding. What do you think of the watch and cuff combined? I have always wanted to combine a watch with a nice bangle or bracelet but have never quite found something that worked as well as this does. Daniel Wellington are currently running a promotion throughout the Christmas period, otherwise known as ‘holiday gifts for everyone’. If you choose two favourite items then you can enjoy 10% off your purchase. You can also use my code ‘LITTLEBOAT’ for a further additional 15% off. (The code will still work despite my blog re-brand).